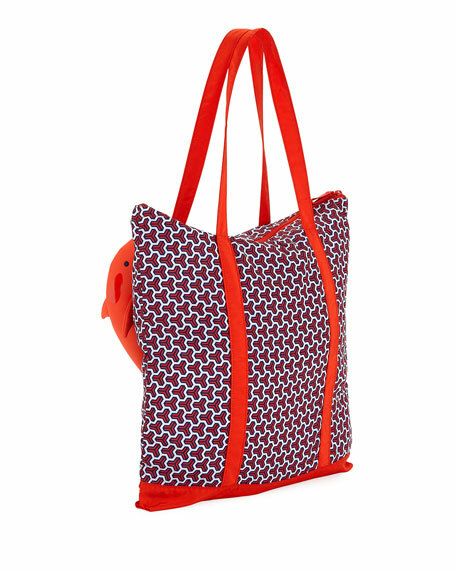 Tory Sport nylon tote bag in allover "T" print with wool-blend trim. 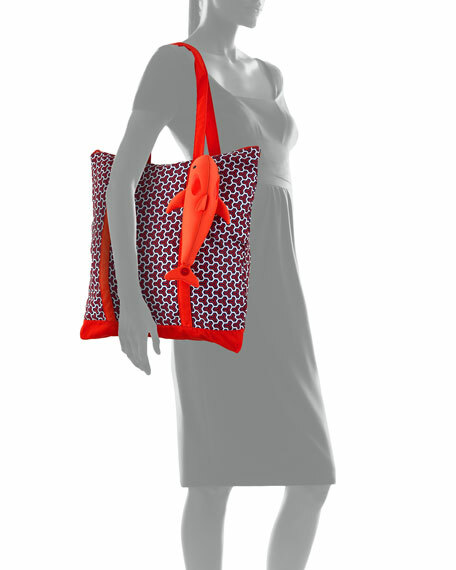 Flat shoulder straps with 3D hanging orca whale charm, 9.5" drop. Zip top closure with looped pull. 16.5"H x 15.8"W x 1.6"D.
For in-store inquiries, use sku #2451119.